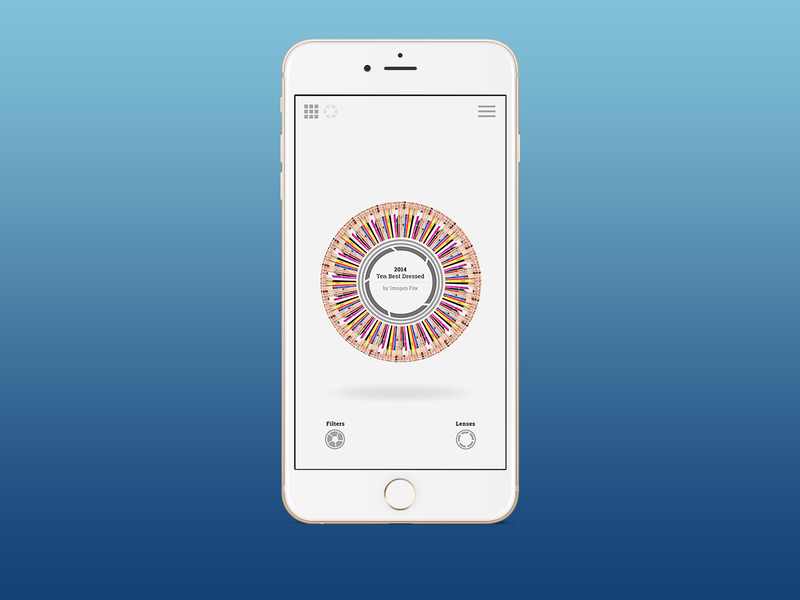 Lovers of Oscars fashion can explore and share ten years of red carpet style with an interactive fashion tool launched by The Guardian and BBH in 2014. 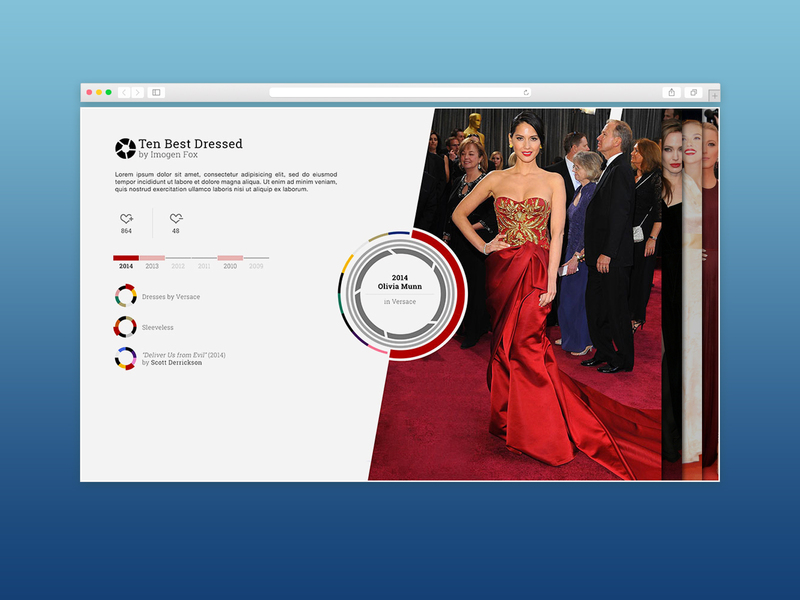 The site, which was curated by the Guardian’s fashion team, lets users explore and read about the latest outfits and styles from the 2014 Academy Awards, as well as taking a look back at Oscars’ fashion over the last decade. 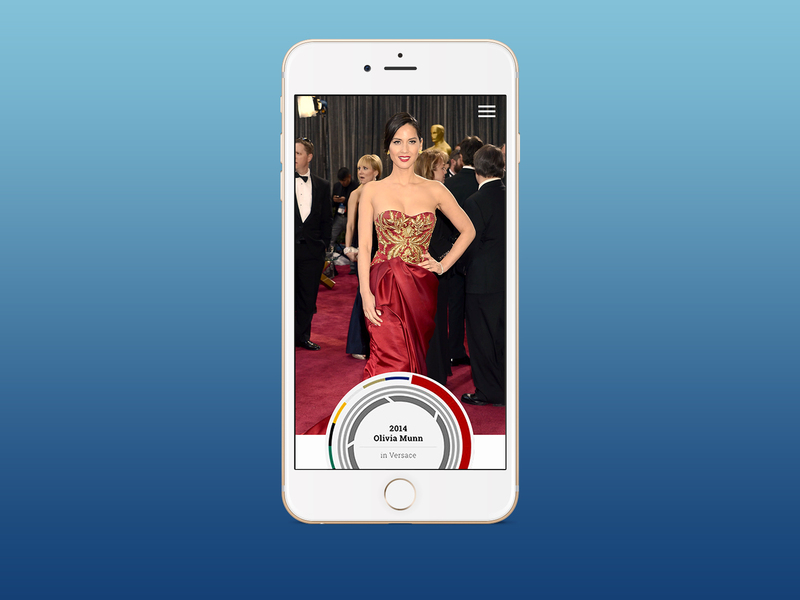 Users can pick their own favourite looks, curate their own personalized fashion directory of Oscars outfits and share their “Style Profile” with their friends. 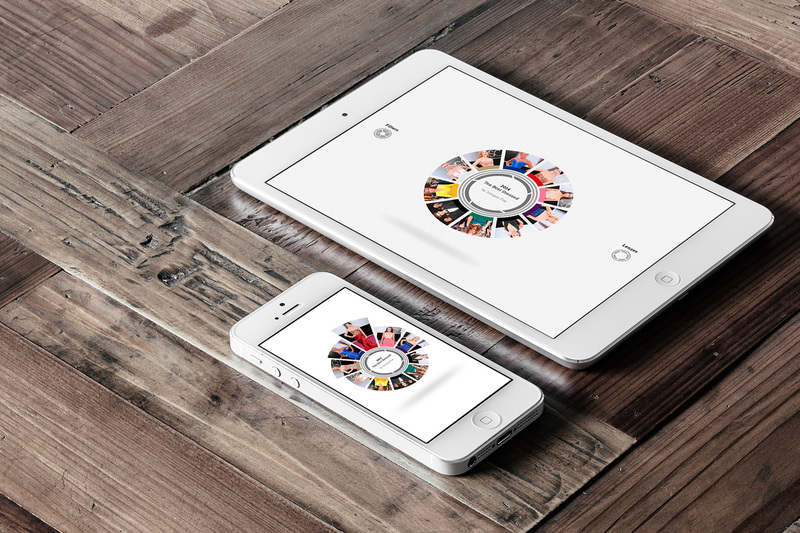 The tool also enables users to filter dresses using various “lenses” such as colour, style, actor, designer and date. The design and interaction of this website was created in a lean and collaborative process and deliverables were kept to a minimum. The look and feel was inspired by the abstracted lens of a camera, and resulted in an unconventional and uniquely tactile way to visually browse through content. Users also had the option to toggle a more familiar “grid” interface if they so wished. Users could brows freely, or search, sort and filter the content by various parameters including colour, style, name, or keyword. They could even choose tastemaker-curated sets or “lenses” of looks. 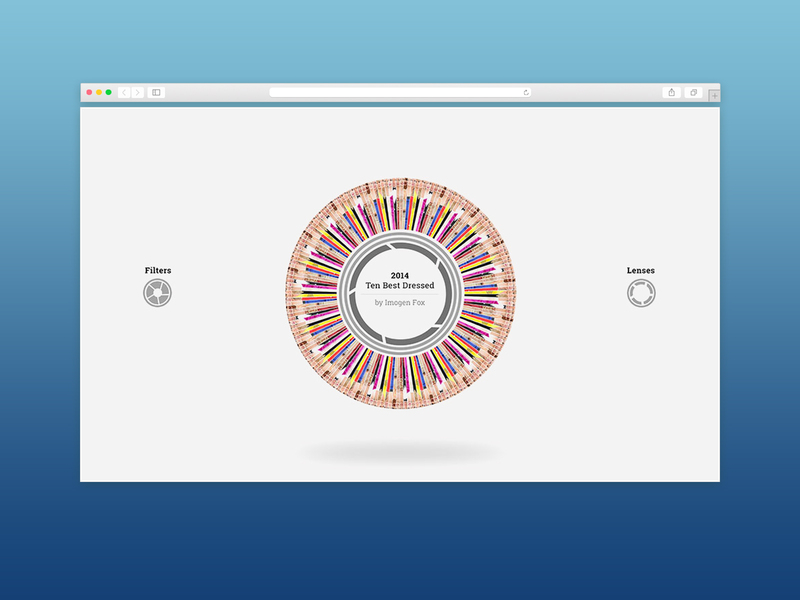 I incorporated personal account creation, the storage of data sets (so that outfits could be “favourited” and saved), and a contest that bolstered the shareability of the site. Initially, we pre-populated the site with content from the Oscars fashion archives, and then, in a logistical feat of significant proportions, as each celebrity walked the red carpet on Oscars night and Guardian photographers snapped their images, the image data was sent, cropped, retouched, reviewed by the Guardian’s fashion editors, and uploaded to our site in record time, effectively creating an up to date, creatively presented archive of Oscars fashion.